Numerous ancient texts mention how time travel was achievable thousands of years ago. 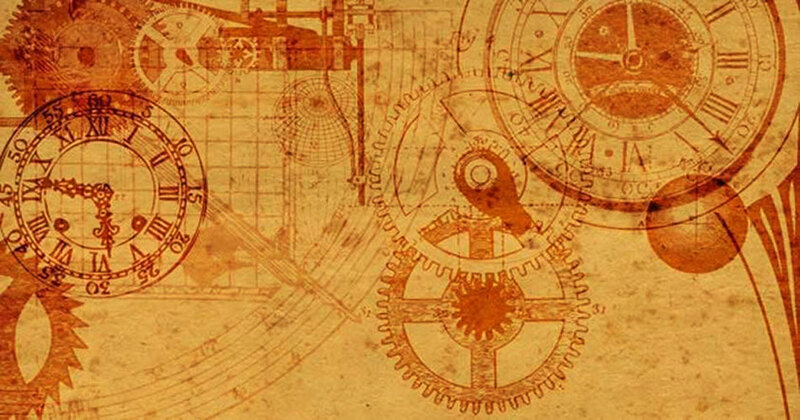 Evidence of that can be found in numerous ancient manuscripts and texts including the Bible, and proof that scientists are still interested in time travel are countless studies that have been written in recent years. In the ancient Indian text of the Mahabharata, written sometime during the eighth century BC, King Raivata is described as traveling to the heavens to meet with the creator god Brahma, only to return to Earth hundreds of years in the future. Time travel and powerful machines that could help a person travel in time have been one of the great recurring themes of science fiction and innumerable films for many decades. But there's a reason for that. The possibility of time travel has attracted mankind for countless centuries. While many may think its absurd to believe in time travel, some of the world's brightest scientists have investigated whether mankind could really travel in time in the near future. Albert Einstein concluded that the past, present, and future exist simultaneously. Now, with the right technology, like a very fast spacecraft - the kind we are still to invent on Earth - one person traveling in space could technically experience several days while another one would experience, simultaneously, only a few hours or minutes. However, Einstein's wisdom and convictions had very little impact on cosmology or on science in general when it comes to time travel. If it were truly possible to travel in time, we can scarcely have a glimpse of what this could mean for humanity and, above all, for those who had the power to travel through time and the power to write history as they please. And while this may sound appealing, we do not know the consequences of altering past events and how they would affect the future, if of course we actually ha the means to do so. If you look at history and different ancient texts we can find a number of time travel references cataloged by different cultures across the globe. In Hindu mythology, there is a story about King Raivata Kakudmi who travels to meet the creator, Brahma. Although this trip did not last long, when Kakudmi returned to earth, 108 yugas had passed. The explanation Brahma gave Kakudmi is that time passes differently on the different planes of existence. Also, we have references of Time Travel in the Quran. The story refers to a group of individuals, who in 250 AD sought to the persecution, and withdrew, under the guidance of God, to a cave where God made them sleep. They woke up 309 years later. This story coincides with the Christian story of the seven sleepers, with a few differences. "Go out of Jerusalem, there is a hill and collect some figs for us." The boy went out and collected the fresh figs. All of a sudden, Abimelech hears some noise and wind in the air, and he becomes unconscious, he had a blackout. After a time, he wakes up again, and he saw it was nearly the evening. So when he runs back to the society and the city was full of strange soldiers. "What's going on here? Where are Jeremiah and all the others?" "That was 62 years ago." It's a time travel story written in the Bible. Another story comes from the Japanese legend of Urashima Taro. It is said that a man visited the underwater palace of the Dragon God Ryujin. He stayed there for three days, but when he returned to the surface 300 years had passed. In the Buddhist text Pali Canon it is written that in the heaven of the thirty Devas (the place of the Gods), time passes to a different rhythm, where a hundred years of the earth count there as a single day. In modern times, however, one of the most 'famous' accounts of time travel is the infamous Philadelphia Experiment which supposedly took place in 1943. The projects main goal was to hide a Navy vessel and make it invisible to enemy radars. However, it is said that the experiment went terribly wrong: not only did the ship completely disappear, it was teleported to Norfolk. When the ship appeared, some crew members were physically attached to the ships hull, others developed mental disorders, some disappeared completely and others reported having traveled to the future. Supposedly, Nikola Tesla was involved in the experiment, performing all the necessary calculations and developing the various designs, as well as providing the necessary generators. something like a television that showed what happened in the past. 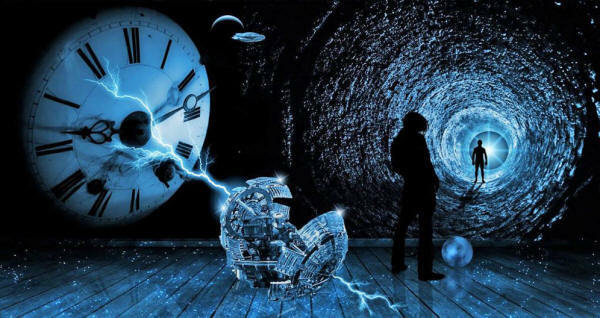 Physicist and Professor Ronald Lawrence Mallett of the University of Connecticut is working on the concept of time travel, based on Einstein's theory of relativity and is absolutely convinced that mankind can in fact travel in time. According to Mallett, within this century, humans will have the ability to travel in time. Particle physicist Brian Cox agrees that time travel is possible, but only in one direction. We can't speak of time travel in modern times without mentioning the fascinating story of a man called Al Bielek who claims to have traveled in time, specifically to the future, to the year 2749. But are the above stories a compilation of wild tales? Or is there a slight chance that something like this may have happened in the past? Interestingly, a recently published study claims that a least mathematically speaking, time travel is really possible. Published in the IOPscience Journal Classical and Quantum Gravity, the study (Traversable Acausal Retrograde Domains in Spacetime) argues that space should NOT be divided into three dimensions - where time is separated.